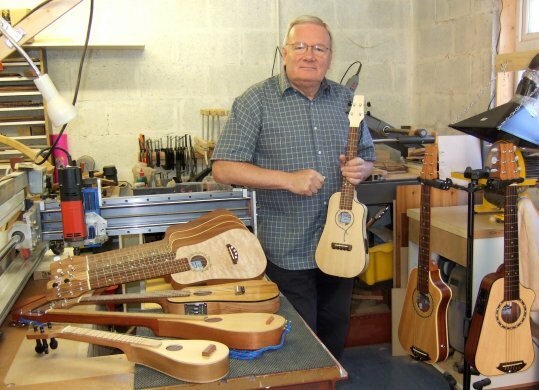 I am Richard Cross and I make travel guitars, ukuleles and other small stringed instruments, in the picturesque town of Caerphilly South Wales. The Shapelywood brand of guitars was my creation and they are still available from me. This site will show models past, present and sometimes yet to come, as well as news of happenings which may be of interest to you players.